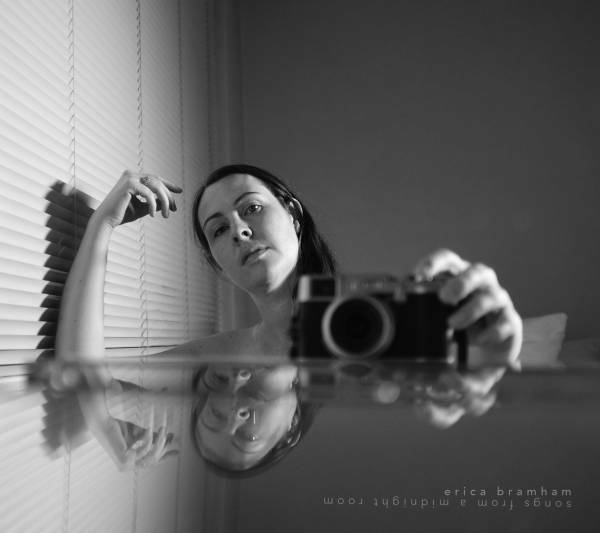 In 2017 Melbourne’s Erica Bramham set about writing a song a day, sustaining the project for an impressive 203 days. This double album contains some of the results. Working in a musical world where a fine mist obscures any lines between jazz, folk, improvisation and rock, she writes songs that often feel like settings for poetry rather than lyrics – another blurred line, I know. In No Run to Save the Varnish she, in the first person, is sugar dissolving in coffee, and in Cafe Terrace at Night she sings, “your lips on mine/are a warm pool of caramel/that trickles down into my shoes”. The imagery is so stark and striking as to routinely hook you into the songs in an almost rapturous state, so that, hanging on what the next word/line/image will be, you find yourself drawn into the equally imaginative music, Bramham’s voice, guitar and mandolin joined by Adam Spiegl’s guitar and bass and Justin Olsson’s drums. Her singing, meanwhile, rings with humour, sadness and truth, without trying to be jazzy or arty: just a voice of sweet timbre airily delivering the words and melodies with captivating guilelessness. Immerse yourself in what she sings and be enchanted.